After reading Where the Crawdads Sing, a debut novel by Delia Owens it was hard to believe that this was her first book. One would believe her a seasoned author by the lush nature of her prose and the distinct and seamless addition of natural history strewn throughout the story. 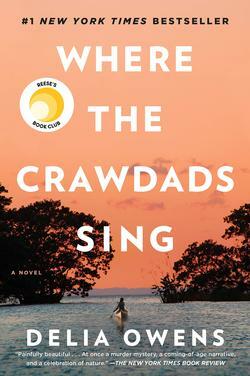 Where the Crawdads Sing fictionalizes novel of a quiet town in the 1960’s on the North Carolina coast. The story’s central character, Kya Clark was abandoned by her family at a young age and learned how to live alone in her beloved Barkley Cove—part natural history, part mystery, this is a haunting tale of isolation and yet a veritable field guide as the central character comes to know her marsh (in spite of the prejudice from surrounding towns) like the back of her hand. If you love Barbara Kingsolver you will love this novel. The characters full and formed, the writing exquisite. You will think about the” marsh girl” long after the story ends.